Visit the College of Liberal Arts in Ventress Hall. 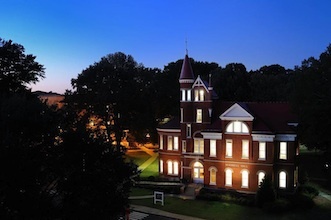 The College of Liberal Arts provides the general education component of the university undergraduate degree programs, offers degree programs in liberal education, and extends the boundaries of scholarship in the varied disciplines associated with the humanities, fine arts, natural sciences, and social sciences. Its faculty seek not only to offer a sound curriculum but also to encourage the development of graduate study and to stimulate research, which is vital to good teaching and faculty growth. Liberal Arts faculty members participate actively in making the resources of the university useful to the general public and in shaping the cultural life of the institution.